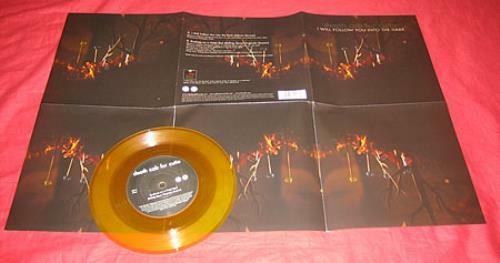 DEATH CAB FOR CUTIE I Will Follow You Into The Dark (2006 UK limited edition 7" single pressed on Translucent Mustard Vinyl - taken from their fifth album 'Plans', also including an exclusive recording of Brothers On A Hotel Bed [Rolling Stone Originals Session]. Issued in fold-out poster sleeve and housed in stickered PVC sleeve ATO246X). or visit our Death Cab For Cutie image gallery.